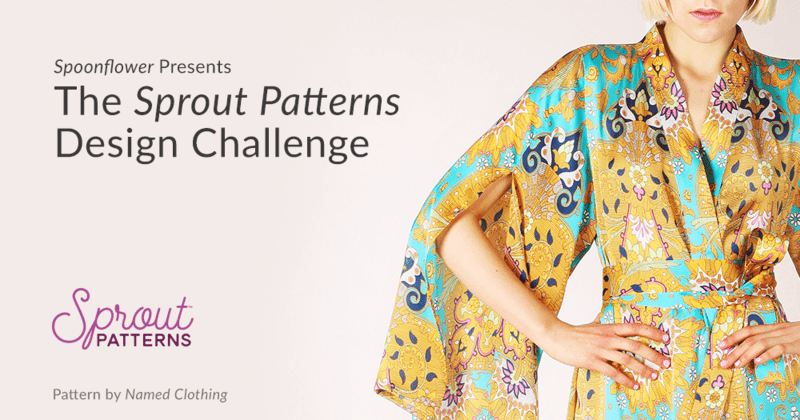 We are delighted to partner with Sprout Patterns to bring you our April Design Challenge, the first in our new series of month-long challenges. Spoonflower + Sprout are looking to the members of our amazing creative community to find the perfect Japanese Garden-inspired design for a new sewing pattern release! 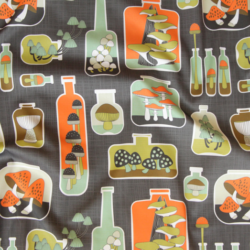 Sprout Patterns is a new service that allows you to combine indie sewing patterns with Spoonflower designs to create customized cut and sew projects. Sprout takes away the work of tracing a sewing pattern onto fabric and lets you truly enjoy the process of making your own garments and accessories. Our Japanese Garden Design Challenge is designed to inspire fabric designs for the launch of Named Clothing’s Asaka Kimono pattern, the first in this patternmaker’s lineup available through Sprout. 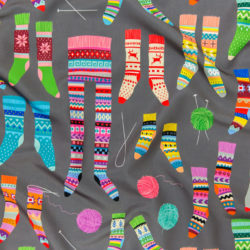 The winner receives $100 in Spoonflower credit and $100 in Sprout Patterns credit, and their design will be featured in all photos for the launch of Named Clothing’s Asaka Kimono pattern on Sprout and in a press release. 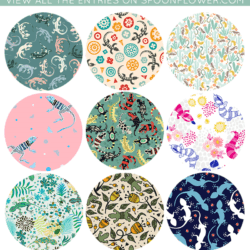 The rest of the top ten receive $50 in Spoonflower credit and $50 in Sprout credit. We’ll also be giving away $50 in Sprout credit to one lucky winner who enters our drawing! Click the button below for more details. Oh I love this challenge – I am particularly excited as I have a sketch sitting in my flat files that might work perfectly as my entry and this will give me the impetus to get to the drawing board and start painting the repeat! Thanks, Patricia! We’re glad you’re excited and can’t wait to see what you come up with! I have submitted a design for this wonderful contest! But I am wondering if I may promote the design on my blog, or should I keep it private until the contest is over?